Why Choose an Orangebox Office Chair? Ergonomic chairs have been proven to increase productivity, so of course purchasing one is top of your list (well at least it should be!). But understandably it can be confusing when it comes to choosing the right office chair, with so many different brands and designs available. So why should you choose Orangebox? Well, here’s everything you need to know. As one of the biggest designers and developers of office furniture, Orangebox are providers of quality furniture for all of your office needs. As a company, they believe that adaptability is a crucial part of the work environment and this is certainly reflected in their products. Orangebox understand that the workplace is evolving and have adapted their office furniture to meet these ever-changing needs. As a company they understand that although the workplace does need to be productive, it also needs to be a comfortable inviting space. It is important for all companies to be environmentally aware in the modern workplace as people have become more conscious about where the products they buy come from. Orangebox are acutely aware of this as a company have taken steps to ensure their products are environmentally friendly. They currently have over 60 suppliers with 70% of these based in the UK. They use a Cradle to Cradle design that means their products are either naturally biodegradable or can be fully recycled to save on the environmental footprint. They have even taken steps to ensure their products don’t end up in landfill by setting up their own recycling centre. If the product is re-usable it is donated to the St David’s Foundation charity. If not it is disassembled and the materials are recycled. This ensures that Orangebox do their part to help protect the environment. With a range of different products they have a number of solutions for all of your office needs. However, their task chairs are some of their most popular products and they are market leaders in both innovation and design. Their products combine ingenious engineering with ground breaking design to produce the best products of the highest quality. Orangebox offer a range of ergonomic chairs that are designed to provide the best support for your back while seated and enable you to carry out office tasks with freedom of movement. All of their chairs are put through tough testing measures to ensure that they are suitable for the workplace and come with a five year guarantee. Not only do you get great design and a high quality chair that will last, but they are also affordable (honestly, take a look for yourself). With over 100 different products to choose from, we couldn’t possibly tell you about each chair and why it would be the perfect fit for you, but we have selected some of the most popular Orangebox chairs to tell you about their features. 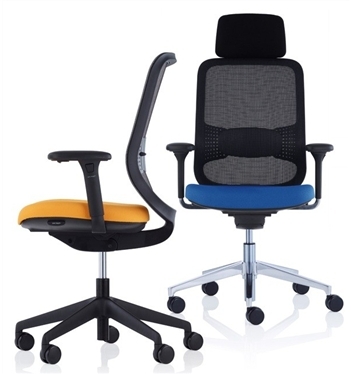 This is one of their most affordable chairs (at just £221.76 inc vat) and is an entry into serious office seating. 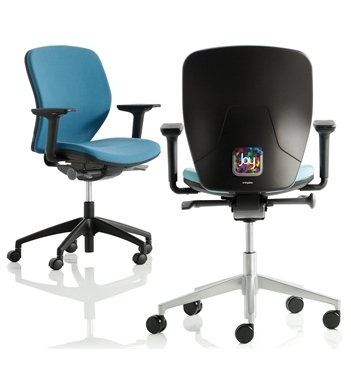 The ergonomic chair provides great support for your back and is fully customisable. It comes with the same synchronous movement mechanism that you would expect to find on much more expensive chairs. This is one of their most popular designs and includes a range of features that make it the perfect solution for any office setting. The mesh backrest allows air to circulate thoroughly so that your body can breathe. This means that you will not get too hot sitting in your chair for long periods. It also provides great lumbar support so that your back and the ergonomic design ensure great seating postured throughout the day. 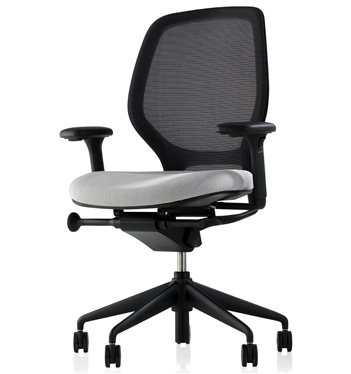 The Ara Mesh Back Chair is the ultimate office task chair from Orangebox. It provides the ultimate comfort in seating with a range of fully adjustable features. It includes back height adjustment, seat depth adjustment, height adjustable multi-function arms and more. The mesh back also provides a great feature to ensure the perfect body temperature. Well the rest is up to you! These are just some of the reasons why you should consider choosing an Orangebox chair. With a wide range in chairs and other types of office furniture, they can provide everything to meet your office needs. Take a look at their entire range of office chairs to find the one that’s perfect for you.